Terms like portraiture, expressionism, impressionism, abstract and landscape painting are words that the layman may be familiar with. But tronie? Who’s ever heard of a ‘tronie’? Well, just ask Nadia Kisseleva what a tronie is and she could easily suggest you come see her one woman exhibition at the Nairobi National Museum to find out what a tronie is first-hand. 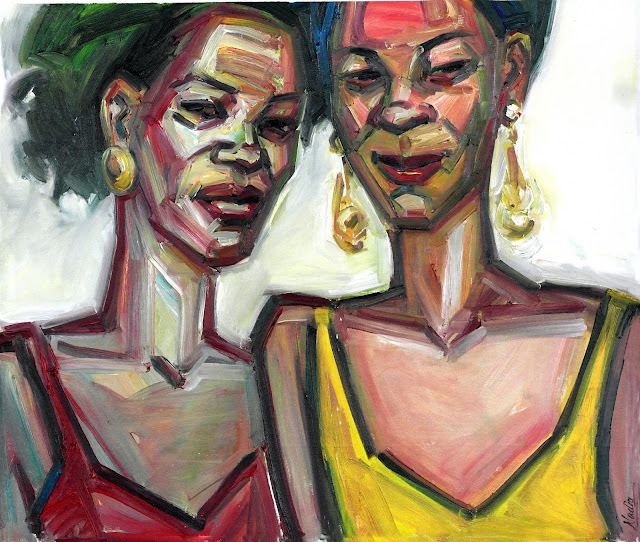 The Russian-born artist who spent a big chunk of her life working and raising a son right here in Nairobi (between 1980 and 1996) is back for the month-long duration of her show which she entitled ‘The Other Kind of Beauty’. In the process, she says she’s happy to share this old genre of painting which was popularized by 17th century Dutch painters like Vermeer, Rembrandt and Frans Hals. Described as ‘defunct’ by some art scholars, meaning an art form or genre that’s disappeared over the centuries, Nadia found herself painting a tronie after passing through an emotional time in her life. “I had been travelling for a month, and hadn’t had a chance to paint. 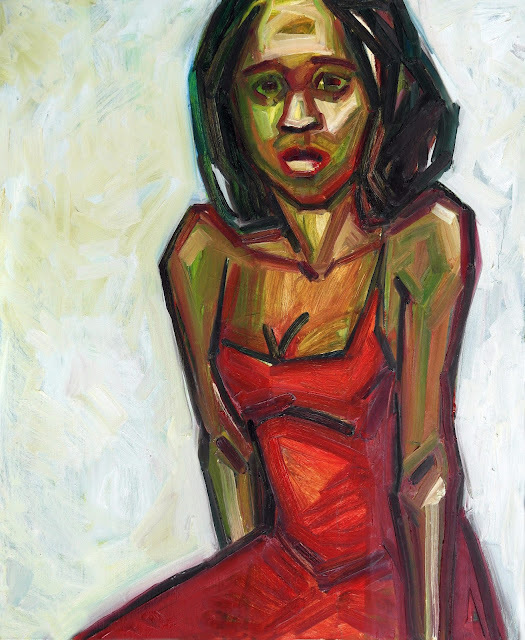 So when I finally settled, I picked up a brush and painted the piece I now call ‘Red Dress,” she says. She only realized after the work was done that it met the criteria of a tronie. For one thing, it wasn’t a portrait although it was a painting of a young woman. It was a woman Nadia says expressed the feelings she had at the time of its creation. “Tronies are studies of emotions. The girl in the ‘red dress’ could have been me since she express more of my emotions than any specific person,” she adds. A tronie (meaning ‘face’ in Dutch) is said to normally represent a type of person who’s of humble origins. And unlike the sort of portraits that were painted in Vermeer’s day, they don’t represent a certain class or measure of wealth or power. 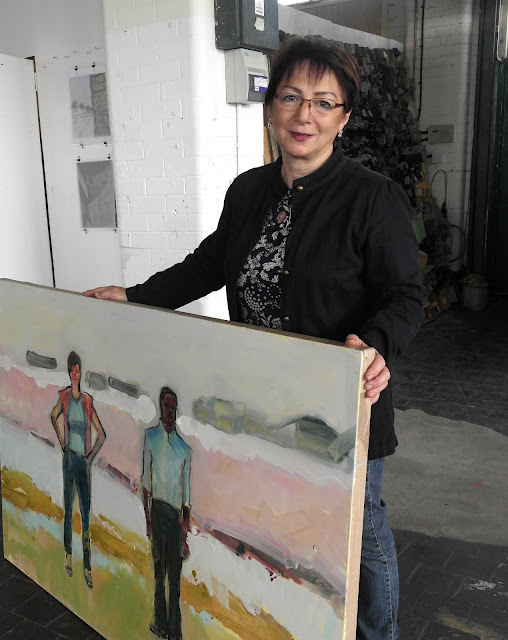 Nadia, who has formal training in fine art schools in the former Soviet Union as well as in UK and Austria, says the tronie went into decline as the popularity of portrait painting rose. Nonetheless, she loves the genre and more than half the works in her show in the Museum are devoted to the tronie. Yet her women come in all different hues. Most are different shades of dark chocolate. 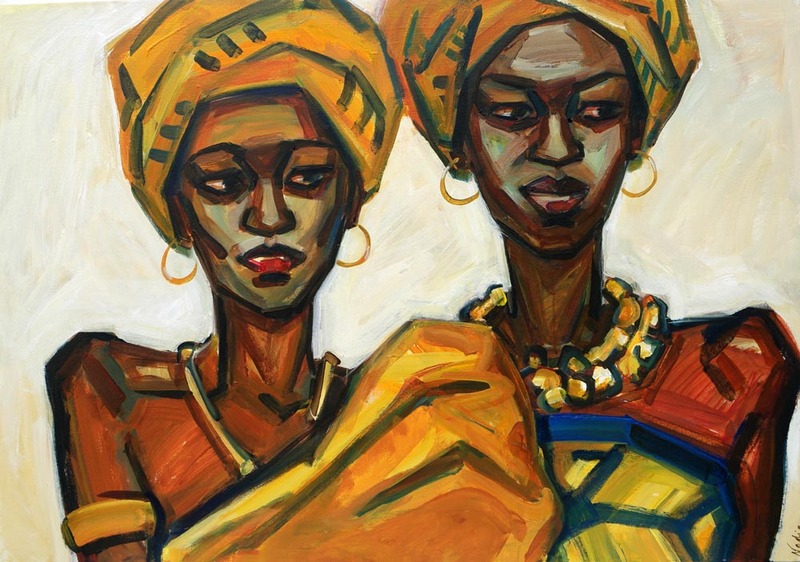 But Nadia has a marvelous way of blending colors so that her women’s faces occasionally have more red or more white or even a touch of green. “What I wanted to convey was the quality of the relationships that many women have with other women. They are supportive of one another, which is a trait I don’t always see among women in other parts of the world,” she adds. But she admits, one thing led to another and she realized she could feel free about painting her family. There are several works in the show that look autobiographical. 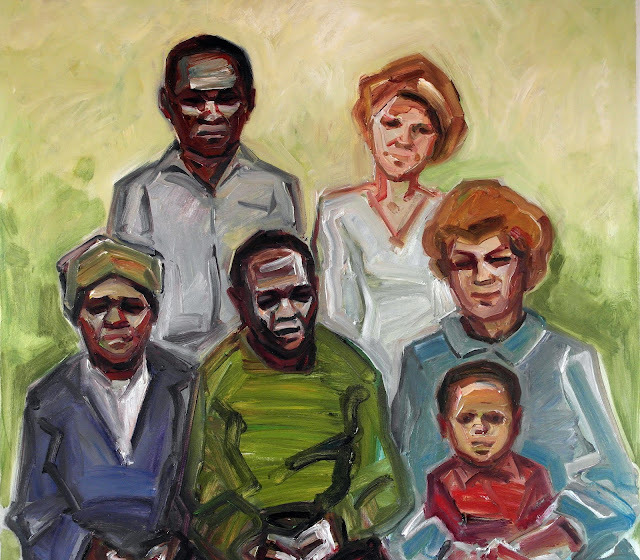 The main one is entitled ‘Family’ and the people in the piece are her Kenyan family including her mother who had come that year to visit. The work is a cornerstone of the show despite it not really being a tronie. Nor is the one featuring her Kenyan spouse and their son. Nor is the image of five women lined up in a row with the conspicuous white woman standing out as the ‘Visitor’. 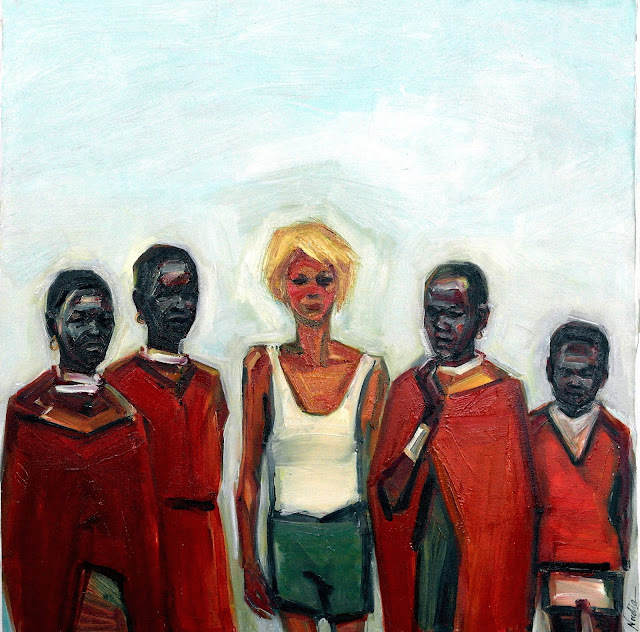 During the 16 years that Nadia lived in Kenya, she not only taught art at Loreto Msongari and the Nairobi School of Fine Art. She also had exhibitions at the now defunct Gallery Watatu and RoMoMa as well as at One Off Gallery and the French, British and German cultural centres. 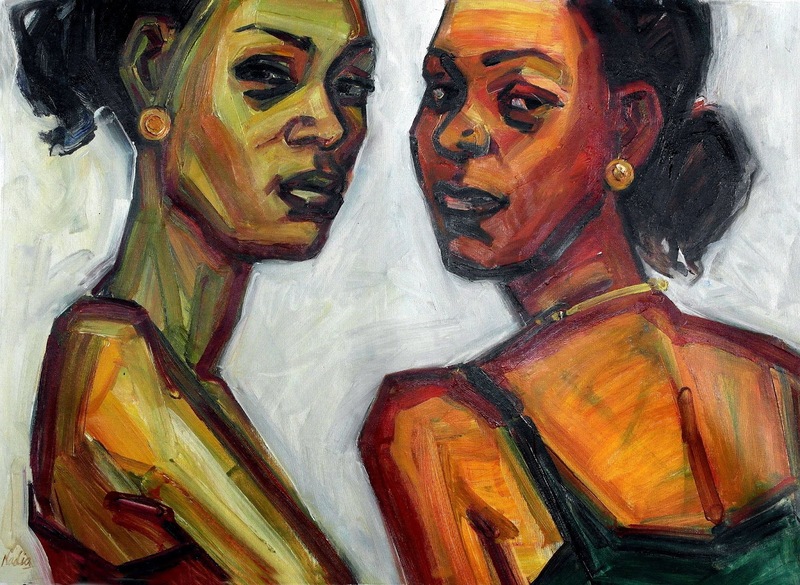 Then when she was back in Kenya last year, she also exhibited twice at Circle Art Gallery.